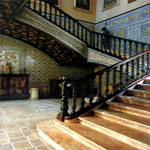 The houses and palaces built in Andalusia from the sixteenth to the eighteenth century are unique. Their seemingly effortless mix of architectural styles - on the one hand, the traditional elements of Moorish architecture, with its courtyards and gardens; and on the other, the more formal, classical symbolism of Italian Renaissance designs - gives them a character and appearance which is only found here, in the deep south of Spain. 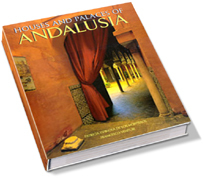 This book takes us on a journey across the Iberian peninsula, illustrating and describing the area's finest buildings, from grand palaces to modest but beautiful houses hidden down side streets, behind limewashed façades.